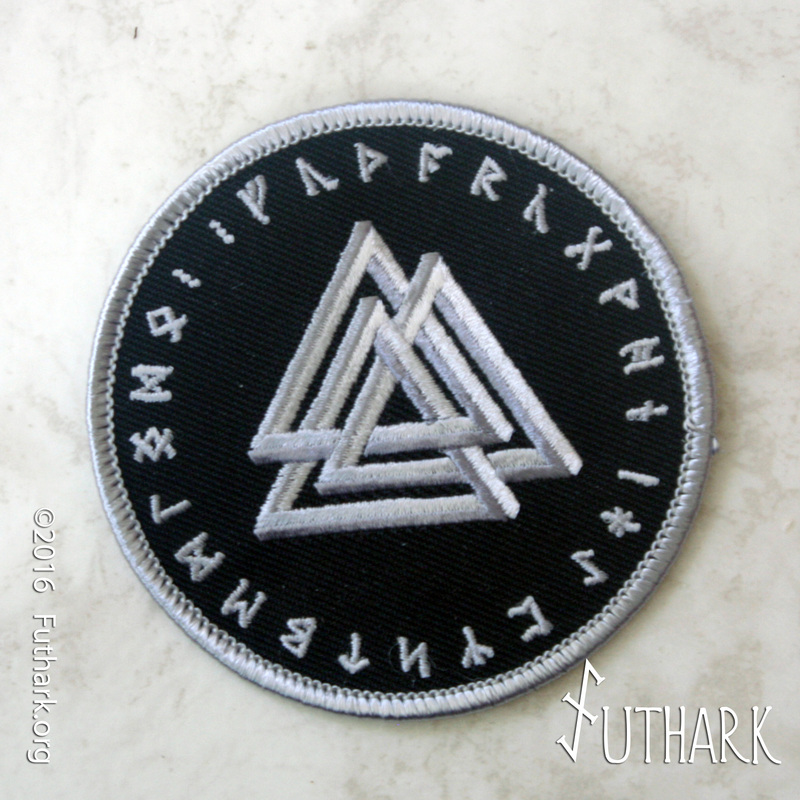 3″ diameter sew on patch in Black and Gray. 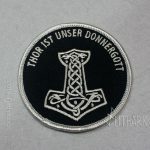 Professionally embroidered in Gray on Black background. 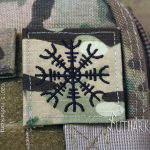 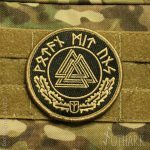 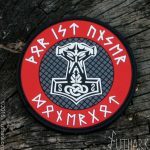 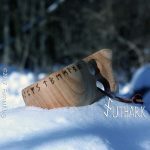 This patch features a 3 dimensional Valknut design with complete elder futhark around the edge.